The UFO jerseys are completely designed and manufactured in Italy to ensure top quality. The decades of experience and collaboration with the best riders always delivers innovative products in which championships can be won. 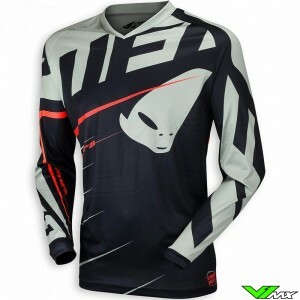 V1mx offers the full collection of UFO jerseys at competitive prices. The 2016 collection includes the following lines: Cluster, Iconic, Voltage and Revolution. The new advanced Revolution jerseys have very advanced technical features. An example of this are the optimized ventilation holes for the correct temperature. 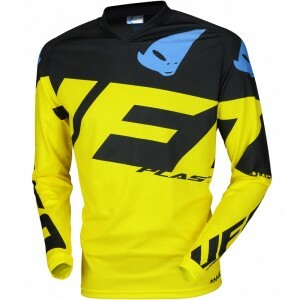 In addition, the voltage jerseys have two new colors. The UFO jerseys can also be purchased as part of a mx gear combo. These are sold as a set with matching pants and optionally gloves for a lower price.